Diesendorf M & Hamilton C (eds) 1997. 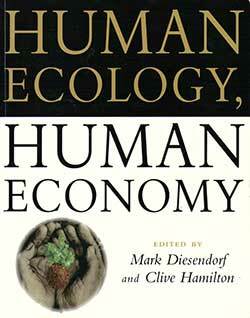 Human Ecology, Human Economy: Ideas for an ecologically sustainable future. Allen & Unwin, Sydney. “This book is such a useful guide to responsible decision-making that it should be supplied in bulk to senior government officials and managers in the private sector”. Ian Lowe. Energy and People: Social Implications of different energy futures.